We put so much money, time and effort into beauty and skincare, why give the game away by forgetting to look after your hands? Our hands are constantly exposed to the environment, causing them to age faster than the rest of our body. The skin on the hands is thin and has little fat so when the ageing process begins it can be quite noticeable; even our hand washes, cleansing gels and household cleaning agents can speed up the ageing process. With winter well and truly here, adding central heating and freezing cold weather into the mix can be a disaster for our hands, so make sure you are taking extra care of them this winter to avoid dryness! 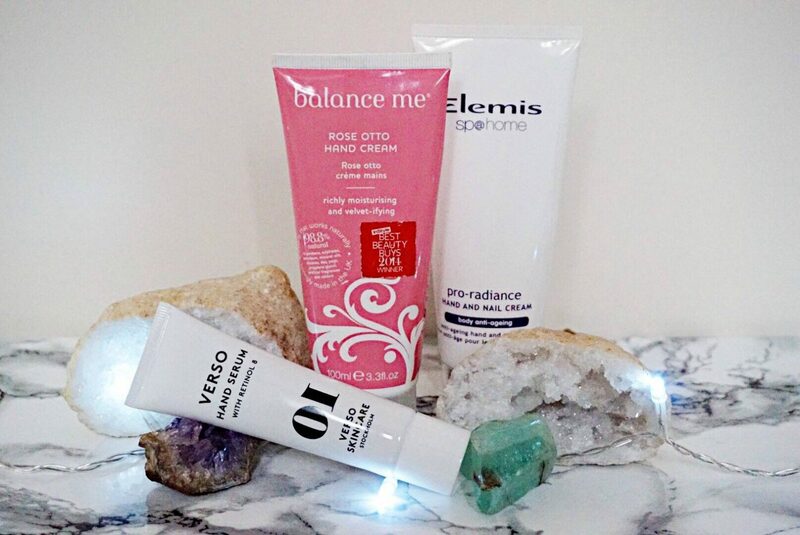 Here are my top 3 anti-ageing hand creams for this winter, all cruelty free with great ‘free-from’ ingredients lists! 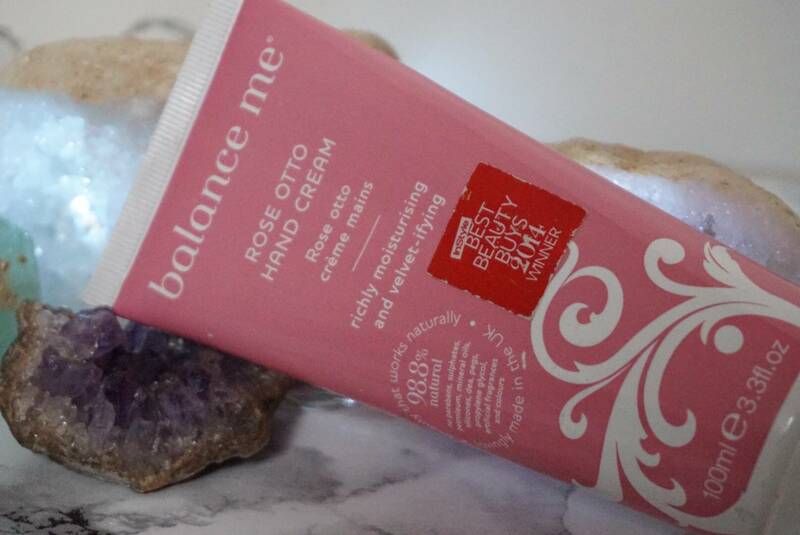 The ‘more than just a hand cream’ hand cream. 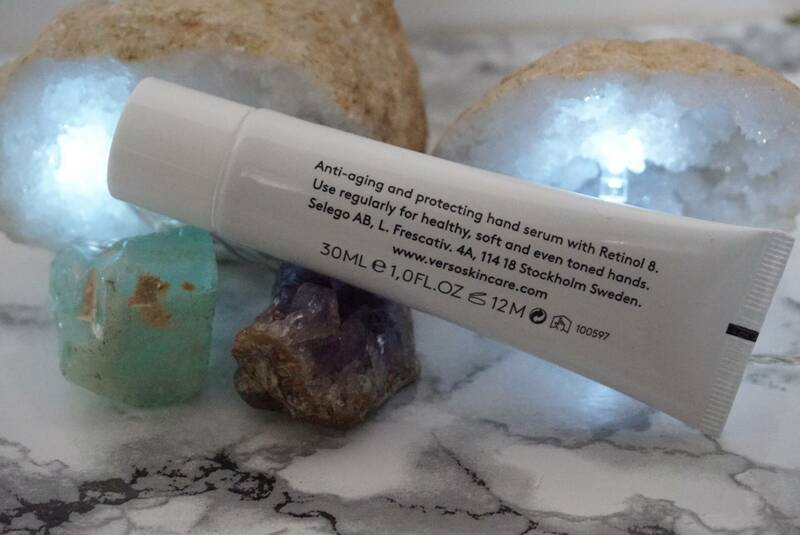 If you are looking for an intensely effective anti-ageing hand treatment, this is the one for you. 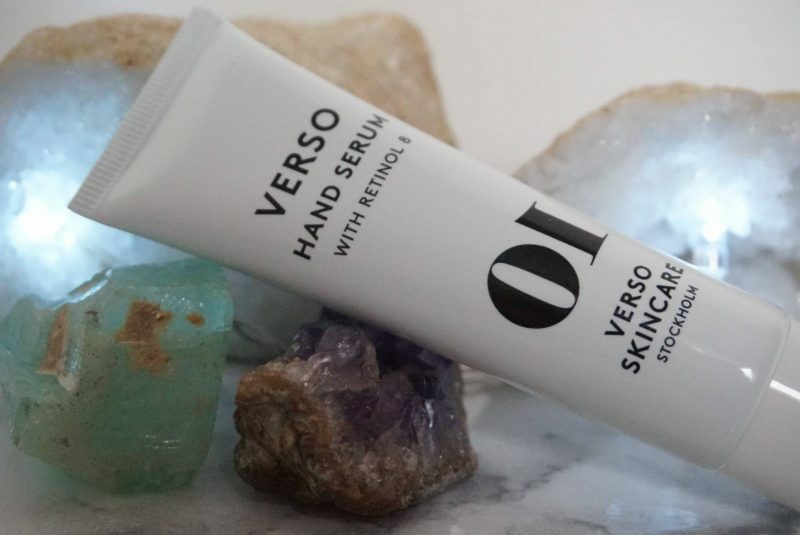 You may have seen me feature VERSO Skincare before, it is a brand I love as I have had great experience with their Night Cream (see here) and wake up in the morning after using it with plump and happy looking skin. I love products I can see a visible difference with after first use and VERSO delivers on that front. Verso’s supercharged treatment corrects and protects with a retinol-rich formula and UV filters to deflect the damage caused by daily sun exposure. Rich yet readily absorbed, this maintains elasticity and suppleness while lessening the visibility of dark spots so your hands feel smooth and look years younger. The supercharged levels of vitamin A have a dramatic impact on texture and tone – reversing signs of ageing by encouraging the creation of collagen and plumping hyaluronic acid. Through encouraging cells to mimic the behaviour of younger skin, Hand Serum diminishes the appearance of crêpey-ness and wrinkles, and with sustained use, will prompt a visible reduction in dark spots and scars. I would look at this as an anti-ageing hand treatment and keep it next to my bed and apply it every night to allow it to work it’s magic through the night as it is 30ml in comparison to the 100ml Balance Me and Elemis below. The whole VERSO range smells delicious, sooo delicious, they are a treat to apply! I would definitely recommend checking out some of their other products, my favourites are the Night Cream, and Super Serum. The ‘keep me in the handbag’ hand cream. If you are looking for a great value every day treat, this is the one for you. This is hand cream is my go-to hand cream that I keep in my hand bag and use on a daily basis. It is so richly hydrating, it instantly soothes dry skin. The pure rose oils smell divine – these have an instant calming effect on the mind so if you are experiencing a stressful day or moment, give your hands a treat with this hand cream and take some deep breaths with the scent to allow the rose oil to put your anxiety to rest. Rich and creamy but quick absorbing, this skin loving blend treats your hands to some natural TLC. Enhanced with a divine blend of rose otto, palma rosa and rose geranium essential oils for a unique, softening sensation. 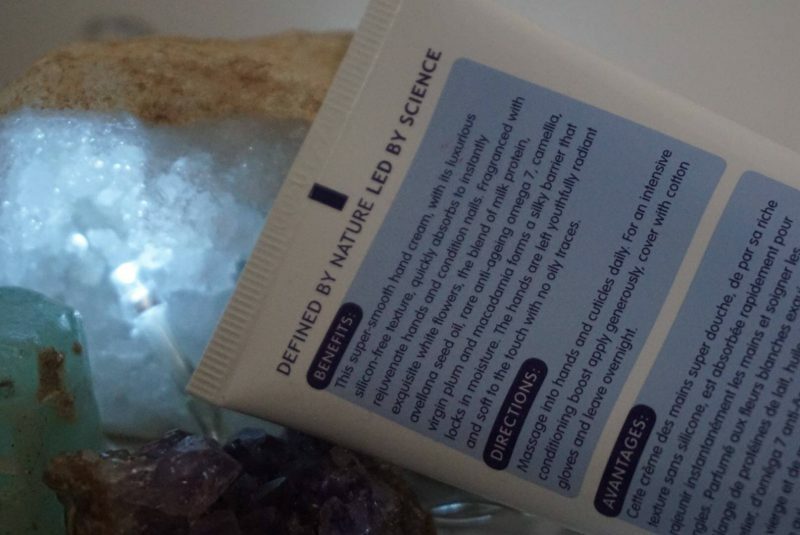 I love BALANCE ME as a brand, they produce products that work naturally without the addition of unnecessary synthetic ingredients. All lovingly made in the UK. I have given this as a gift multiple times because it smells like such a luxurious treat and is always greatly received. The ‘Spa at home’ hand cream. If you want to re-create that relaxing manicure in your lounge, this is the one for you. 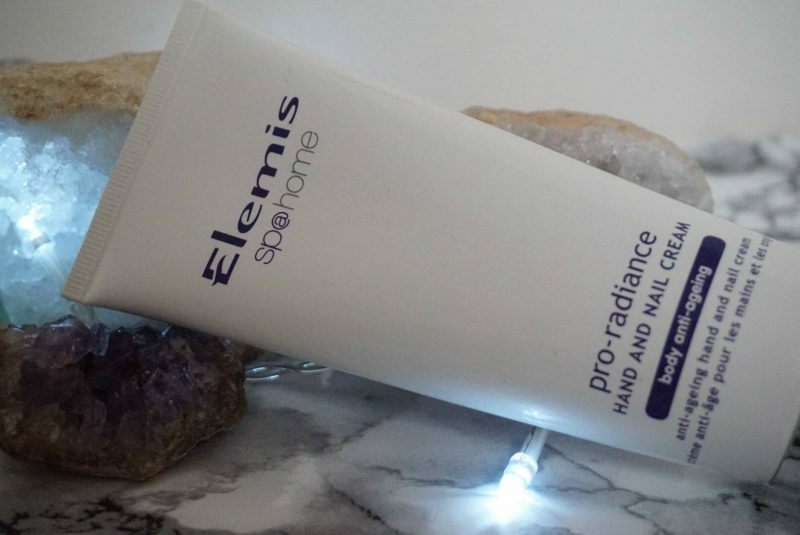 At first try of Elemis Pro-Radiance Hand & Nail Cream, it does what it says on the tin, it creates that ‘spa at home’ feel with it’s fragrance mix of exquisite white flowers and essential oils taking your mind back to that relaxing spa day. 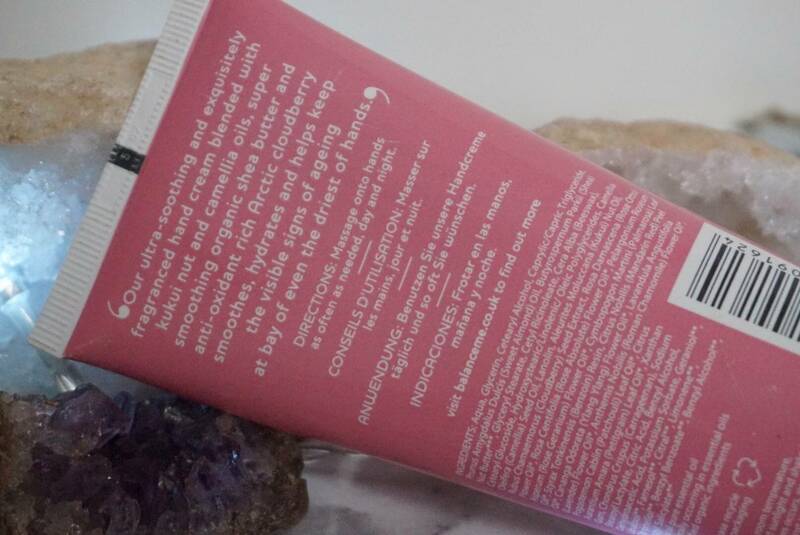 This is a luxurious silicone-free formula that is easily absorbed for ultra-soft hands. Blended with milk protein, avelana seed oil, and rare anti-ageing omega 7, it instantly rejuvenates your hands and deeply conditions your nails. I have quite weak nails and find this is a great treatment to massage into my nails after removing nail varnish to help strengthen them again. Please note, Elemis are currently updating their product packaging. The packaging of this product may vary from the one I have but I can confirm the product is the same formulation.